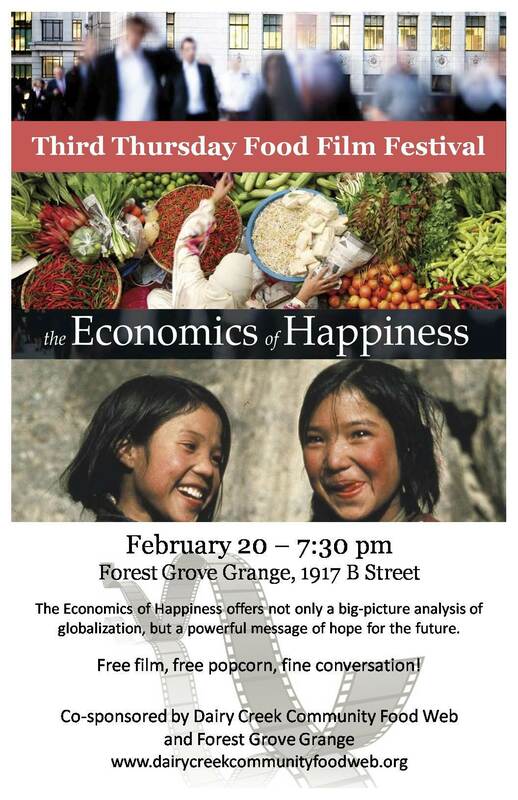 The third Thursday of each month the Dairy Creek Community Food Web, together with the Forest Grove Grange, shows a film for free!! These films are usually about food or something related to thinking about the local economy. If you enjoy thought-provoking entertainment, drive there and check it out! Great conversation after. Free popcorn and a good group of people!! This entry was posted in community, consumer demand, local economy, local food stystem, marketing and tagged consumer interest', film, Forest Grove, Grange, local economy, marketing. Bookmark the permalink.